The Passion was great, but Son Of God starts off with the Nativity and ends with Essention! The music in the movie is also so good! Son Of God was pwerful and moving! Roma Downey and Mark Burntte bring the greatest story ever told alive once again on the Big Screen!! 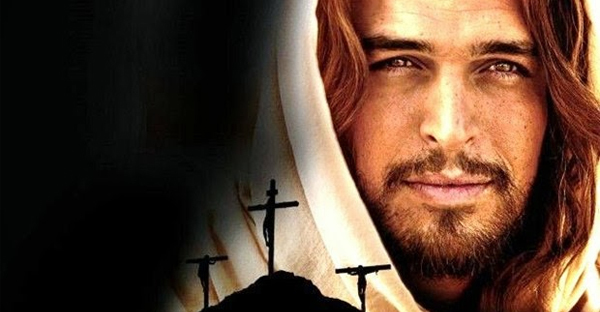 Diogo Morgado plays Jesus and does a phenomaneal job with the role. Roma Downey’s perfomrance was my favorite especailly because it was powerful and original. Son Of God is so good and amazing!! There are way too many liberties taken in this movie. Mary sits in with the 12 when Jesus teaches? She enters the tomb alone without a visit from angels? Jesus says He will “change the world”? He is surprised by Judas’ betrayal and Lazarus’ death? Where is His power and majesty displayed? It is very watered-down and does not show the power of the Gospel to unbelievers as it should. Better than nothing to show to an unbeliever, but barely. Odd that you would say the movie doesn’t stray far from the Biblical narrative. There are many scenes that do not follow God’s Word and I wonder why it wasn’t filmed the way it was written in the Bible. I found the movie very disappointing. Great! Masterful, Moving! Gripping ! I may have missed it, but I would like to have seen Jesus forgive Peter. After so much time on the Crucifixion, I felt that there should have been more on the Resurrection and Ascension. You say take your kids – would it be appropriate for my boys ages 8 and 6? Hi Jesica – it’s your call. There’s obviously a crucifixion scene at the end, which is not as bloody as it could have been, but it is what it is. I’d assess how your kids in general respond to strong imagery, and if they have particularly sensitive temperaments, you might wait. Hope this helps. Thanks Pastor Jim. Surprisingly enough, my 6 year old would probably be fine. My 8 year old is sensitive to strong visual imagery, so we may wait a while to watch it. I dont think so…. It is rated PG-13 for a bloody cruxifction, a brutal whipping, disturbing images, language and thematic elements. Left a review but doesn’t seem to be here even though I was logged in and able to leave another review seconds ago….grrrr to WP….thanks for the follow and review of the movie! oops….grrr again to WP for being so late in posting the comment (laugh)! Great review of the movie…retweeted and thanks for the follow. ….haven’t been too active at WP lately but somehow got here today and read this and that. Keep looking up! I will reblog this tomorrow. Too important not to do so. Thanks! I’m looking forward to it. I didn’t care for Mel Gibson’s movie. I want more story behind Jesus so it seems I’ll be going to Son of God. Thanks for the info! Thumbs up for this review. Thanks. Tweeted and following; thanks for the follow – like what you have to say here. Movie: To see or not to see? Ever since seeing the trailer for this I have been looking for a good fair review. Looks like I found one.